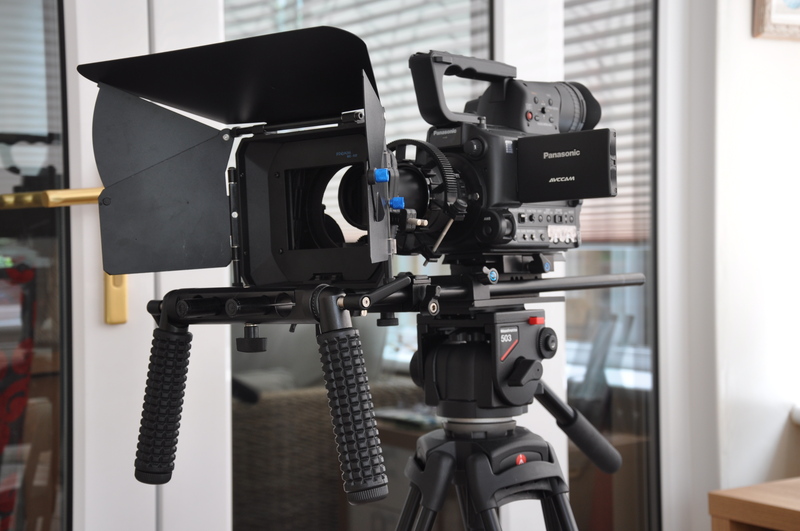 We thought long and hard before committing ourselves to a camera platform for our newley launched HD video service and finally decided upon the Panasonic AF101A. 2/ Capability to capture video onto external recorder at 50mbps 4.2.2 which is acceptable by the BBC for television recording. 3/ Variable frame rate for slow and fast motion filming. 7/ Shallow depth of field. There are many many other great features on this camera but the above were the main must haves on our shopping list. As voxvision shoot a variety of styles and subjects from corporate and educational video, show reels, health and safety and training films, A true camcorder suited our shooting style best as it’s flexibility and ease of use particularly with regard to good quality sound were essential to the way we work. Some have said what about the emergence of 4K as this is not an option on this camera. Well we gave this consideration and decided that when and if we get a demand for this we can purchase the panasonic GH4 at a reasonable price and use the AF101a Lenses making it an economic addition to our video tool kit. The BBC approved the AF101a a couple of years ago and as we have ambitions to make daytime TV and commercials in the future it seemed the obvious choice based upon our available budget. We have been busy shooting test video with this camera and are very pleased with our purchase which has confirmed the many great reviews that we read prior to making our decision. The next purchase for us will probably be an Atmos Samurai recorder to enable us to record at 50MBPS 4.2.2 and then we can seriously consider getting in on the ground floor of TV commercials and day time TV programme making.